Snowmen are so easy to make … these marshmallows were dipped in white chocolate … but you could skip it … marshmallows are white! 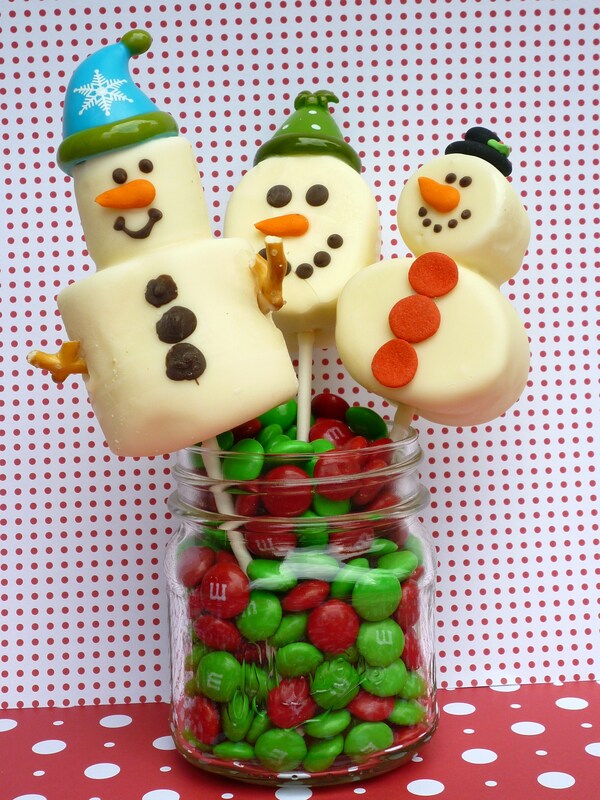 If you need step by step directions … how to melt chocolate and for marshmallow dipping you can check out snowman hat pops. Merry Christmas from my family to yours. And a very happy New Year. Thank you 🙂 I would like to also wish you a Merry Christmas and Happy New Year. OOOOOHHH so Jolly and Happy! Very nice. Ooo, I’ve so mnay of these I plan to try, thank you for sharing! Thank you for reading. I hope you get to make some … they will make you smile … after-all, it’s sugar! I’m wondering if dipping Caramel Bugels would be the right size for the hats, hence making everything edible. I’ve heard the Caramel Bugels are sturdier than reg. Bugels.